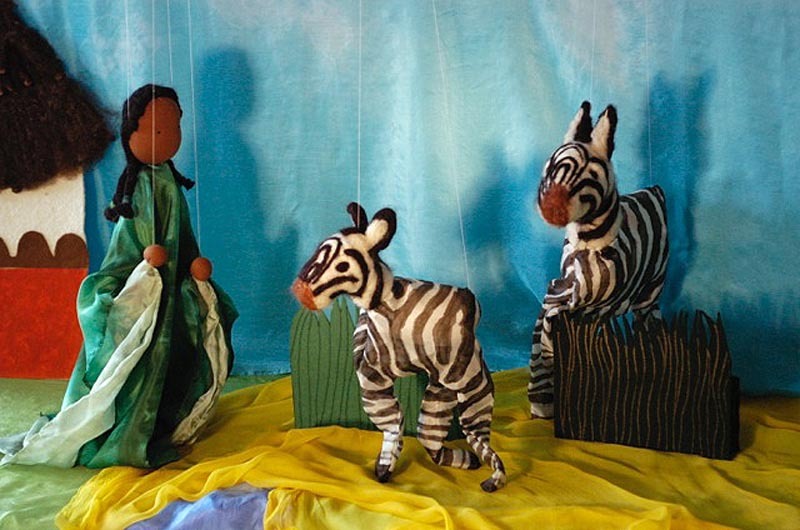 Spindrift Marionettes presents an African folk tale Monday at Grange Hall. African crafts from Zambia, Ghana, Congo and Zimbabwe take the spotlight during the African Artists Community Development Project’s sale at the Grange Hall in West Tisbury from 10 a.m. to 4 p.m. Everything from baskets to textiles to wood carvings will be offered for sale on Monday, July 28. The best part is that proceeds support the organization’s projects, which includes educational grants and the Mama Bakhita Center for Disabled Children in Livingstone, Zambia. Spindrift Marionettes presents The Hunter, the Leopard and the Fox, an African folk tale, at 2 p.m.
For more information, call 508-560-2620 or visit aacdpafrica.org.